Introduced on the Wii, the Mii is a simple, customisable character who could also be imported into games on the console. While Mii characters can show up in almost any game, either playable or in the background, some series star the Miis in particular. 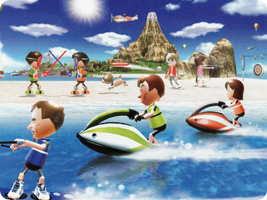 Some notable Mii characters have also emerged, such as Nikki and Sebastian Toot.